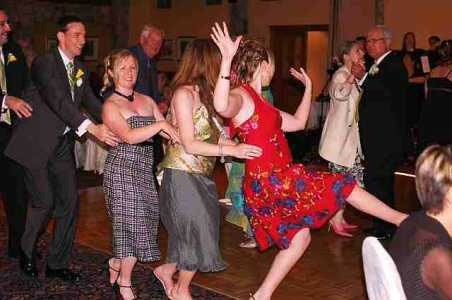 What sort of music are you having at your wedding party? A DJ? A top-40 band? The wedding singer? Will everyone be happy with the music? 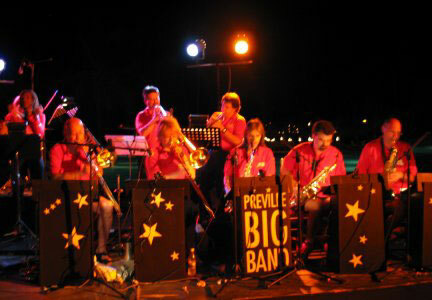 Remember, you have to please grandma, as well as your highschool friends..
What's a "big band" you say? Good question.. well, think 40's nightclub. Lots of musicians, brass instruments, singers, jazz, rhythm, salsa.. it's tough to describe music in words. Just look at these photos and listen to the sound clips. It will make sense. Cool, no? Whether you're into this on not, you have to admit, it has a lot of style! Not every event will suit this sort of music, for sure, but depending on your theme, your crowd, your venue, it's good to know you have the option. These guys have been playing together for ever, they have performed all over and their selection is huge.. 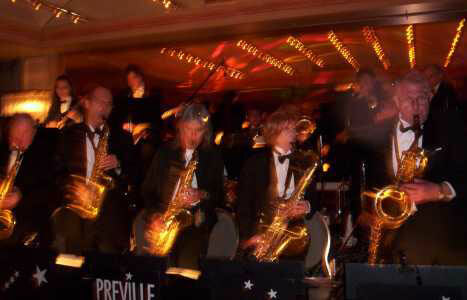 If your event is in Montreal, check out Preville Big Band. Anywhere else, well, browse through our regional Musicians listings, find a band or an egency that can source one for you.